Nothing much exciting... been there, done that. How useful can any of those articles be? First, it would take a really hefty article to cover any of these topics well, and still, it wouldn't be enough. Each of these topics has too much detail to cover in a useful way. Much like we talk about finding a niche for our business, if we apply this to our articles they will be more concise and useful, will draw a more specific readership suited to our business. Also, if we're hoping people will find us through search, broad topics like these won't put us on page one... they've already been done over and over. Think about it like an apple tree. 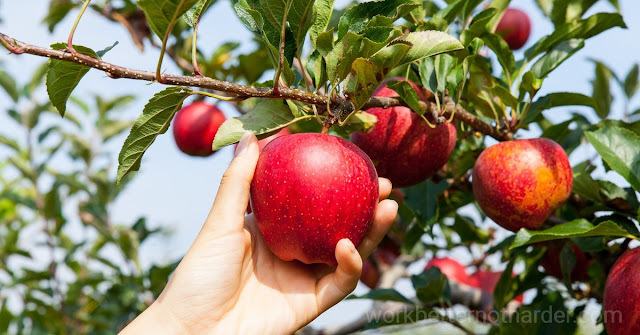 Instead of writing about the whole tree, pick only one apple to write about. Narrow your topic, answer one question instead of 20, go deep instead of broad. You might try asking, "So what?" over and over to get deep into your topic. And start with an outline - you may discover each item on your outline is an article on its own. Instead of one article, you'll find yourself with hundreds of things to write about. Have fun!